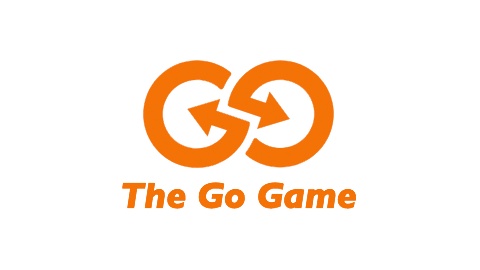 New York City Go Game! New York City is the best place on earth for team building scavenger hunts, game shows and more. Whether you're catching the sites in Times Square or keeping trendy in Brooklyn, we have plenty of tricks up our sleeves to make sure your team has a good time. This was a great experience for the team! As the organizer, the process was super simple. The quaint, delightful streets of the West Village are filled with more sneaks and clues than you can imagine. Escape the hustle and bustle and give yourself a chance to unwind and have fun in this intimate neighborhood. The West Village has plenty of amazing restaurants. We can host your team building event at just about any of them. How could one of the most touristy locations in the country not be a perfect team building game zone? It's brimming with hilarious anecdotes waiting to happen. See Times Square in a whole new way while you pose for some awkward family photos, show off your best Statue of Liberty impression, or tell jokes to one of the many top-notch hot dog vendors. Our Brooklyn game zone is so fun that even the most cynical of Williamsburg hipsters are sure to love it. We have the secret sauce to guarantee everyone on your team can let loose. Brooklyn has plenty of awesome bars and restaurants. We can wrap up your team building activity at any of them! Enjoy the far west side in the trendy Meatpacking District. Race along the former railroad tracks and weave in and out of the trendy restaurants and shops that have filled the area. Careful not to slip on the cobblestones! Have another place in mind? We can make your team building activity work at any of the trendy restaurants in this neighborhood. Experience this hub of NYC like never before! The historic train terminal is home to dozens of shops, restaurants and perfect team building clues and mission locations. Hide from the cold and break out into a flash mob on the grand stairs or make friends with MTA officials as you challenge them to a Compliment Battle. Located just south of Central Park, The Columbus Circle game zone will have your team exploring this part of the city like never before. Do some window shopping at one of the countless stores or orchestrate your own concert outside of Lincoln Center. By the end of the day, you'll feel like you've taken a new bite out of the Big Apple. See where history and modern trends collide when you play in our Tribeca game zone. Stroll along the cobblestones filled with quintessential brick buildings and modern restaurants. Enjoy some sunshine and people watching in Washington Market Park. And practice your paparazzi skills for your own film festival team building challenges.